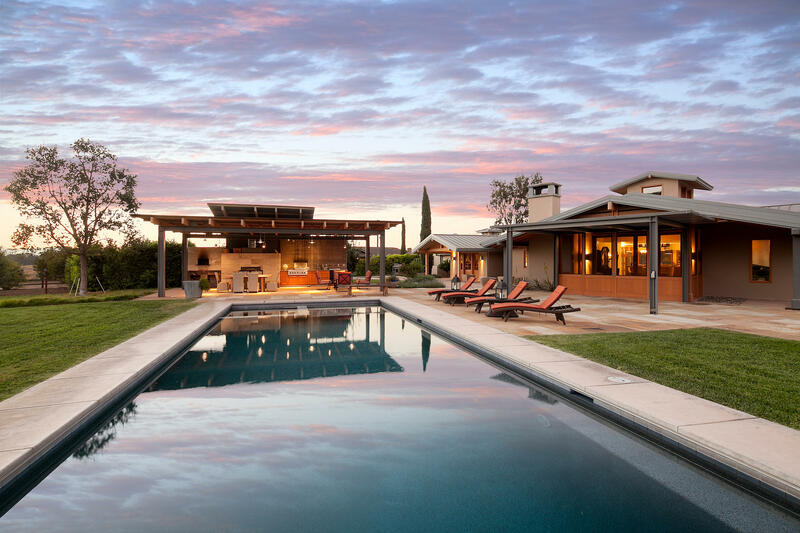 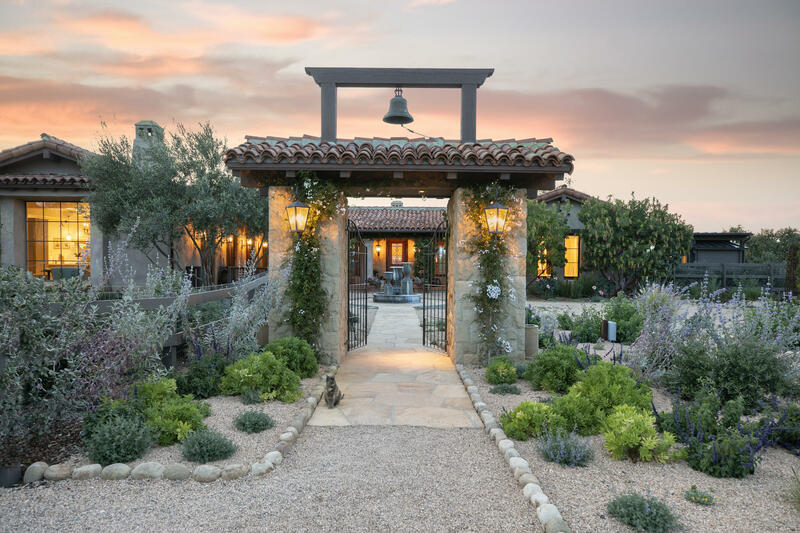 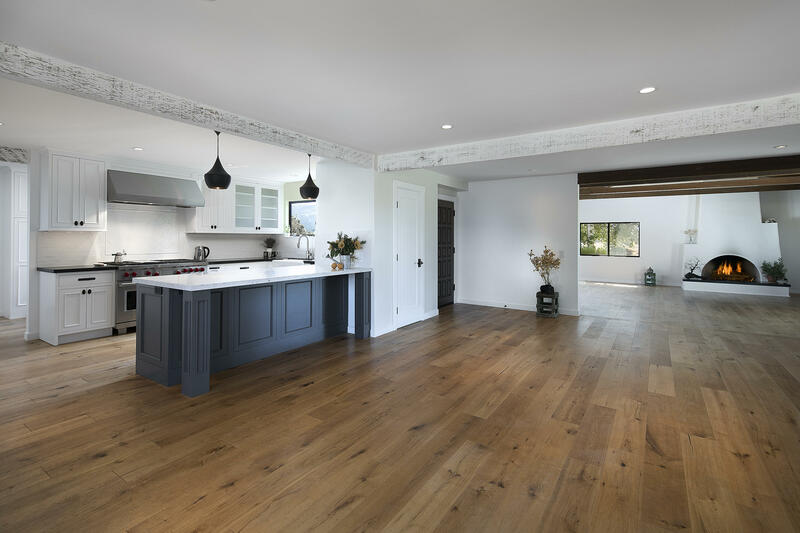 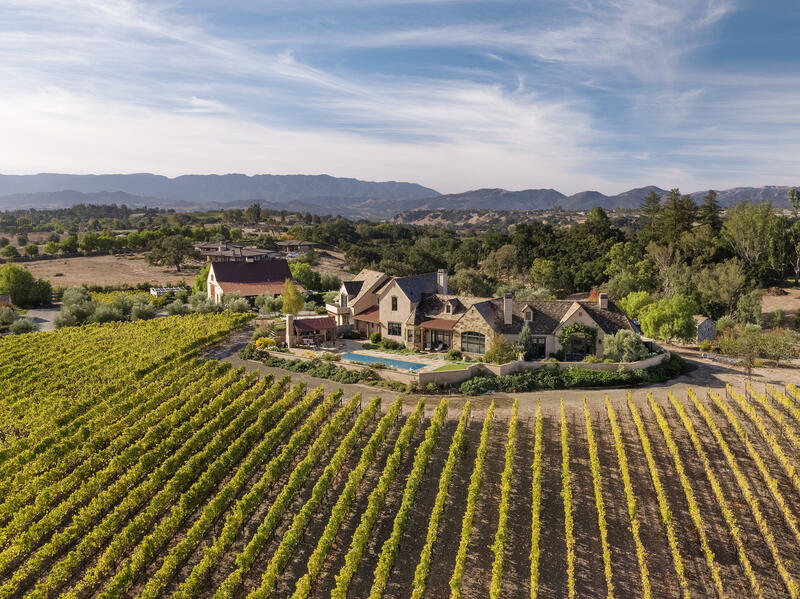 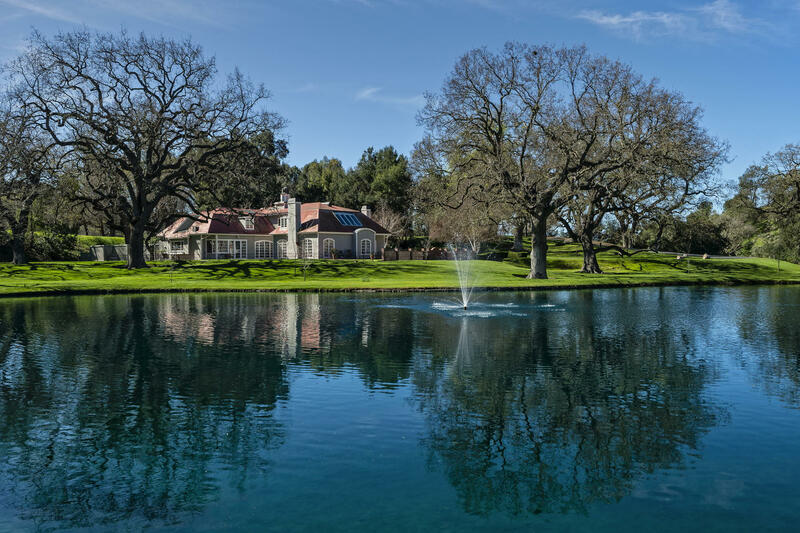 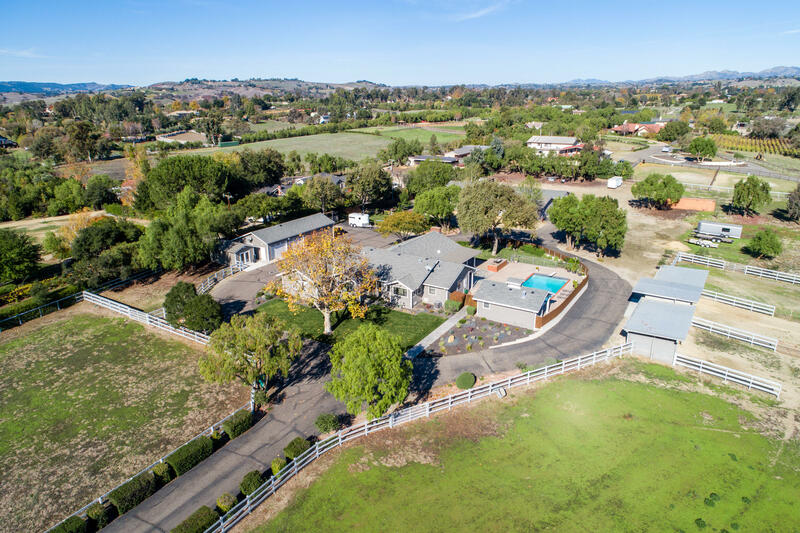 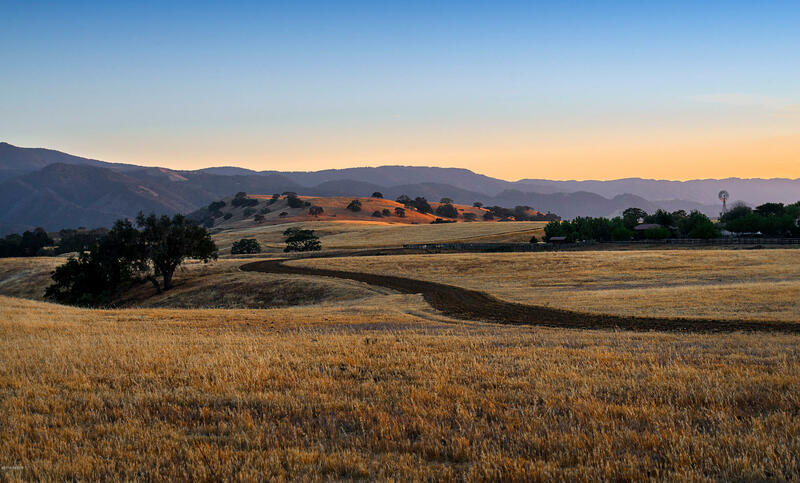 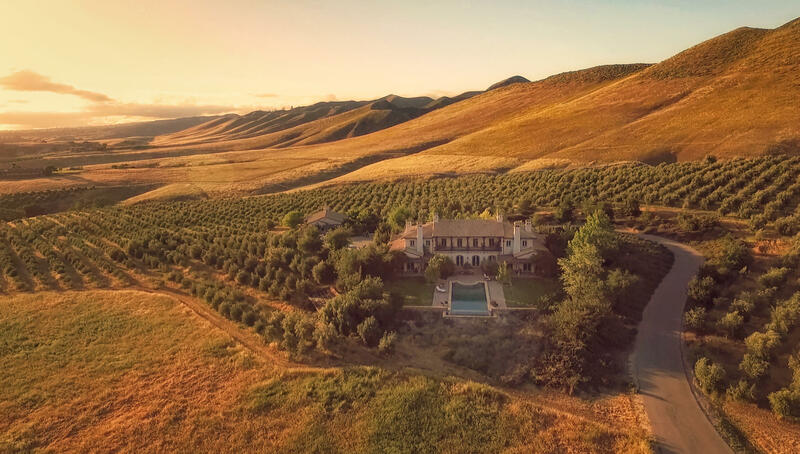 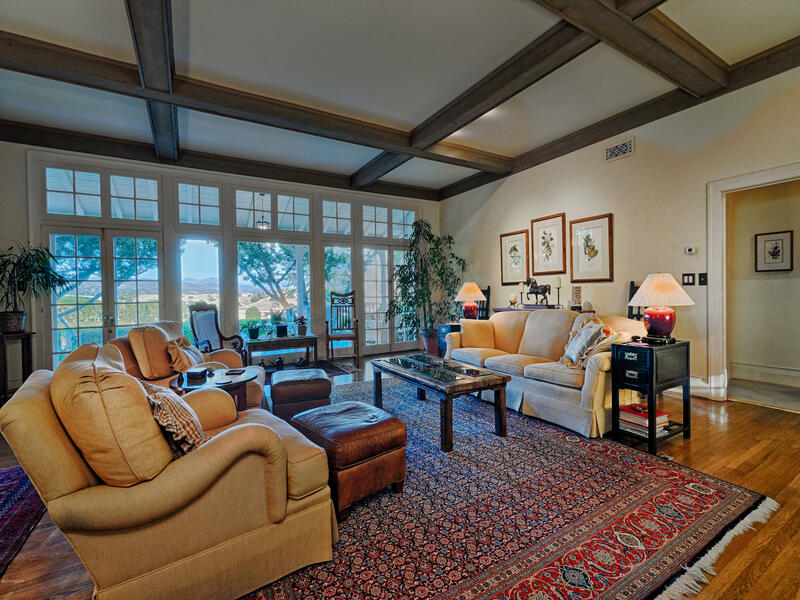 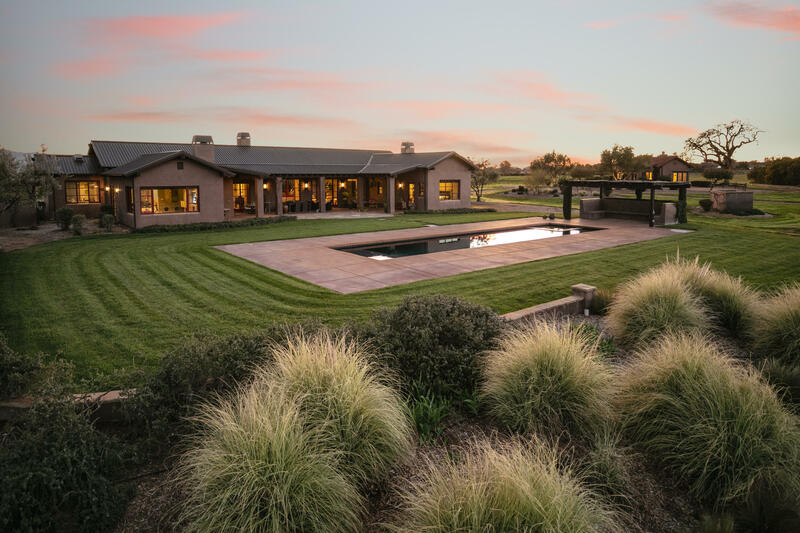 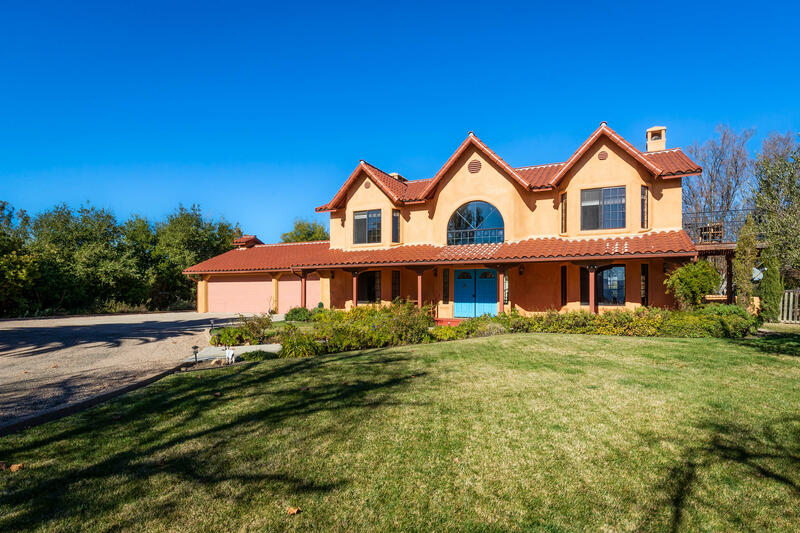 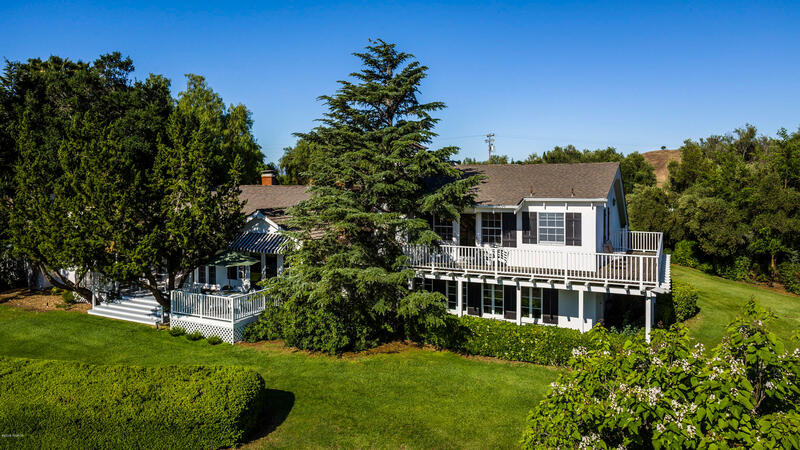 Located in Happy Canyon at one of Santa Ynez Valley's finest and most convenient locations, is an extraordinary 8+/- acre estate which could have jumped from the pages of a storybook. 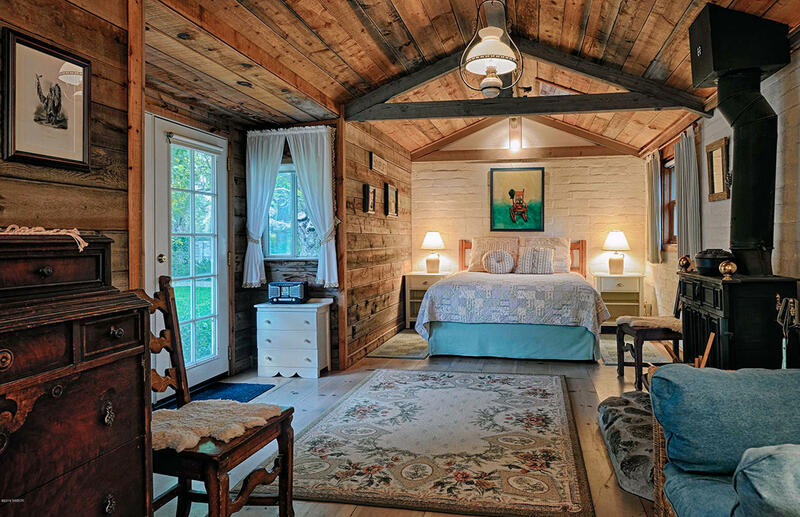 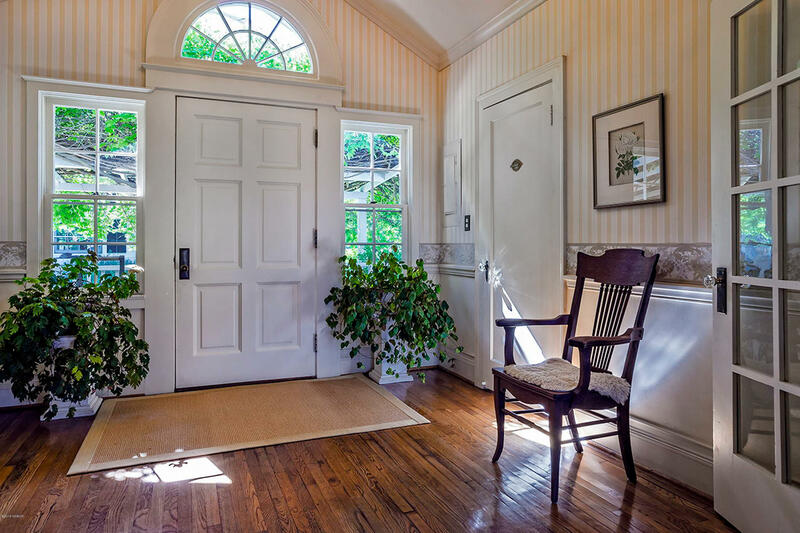 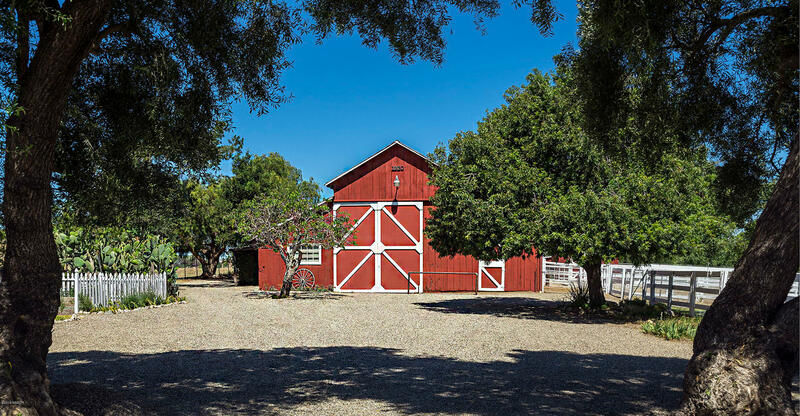 Charming 5,000+/- sf classic, American-style farm house with 5 bdr and 5 1/2 bth. 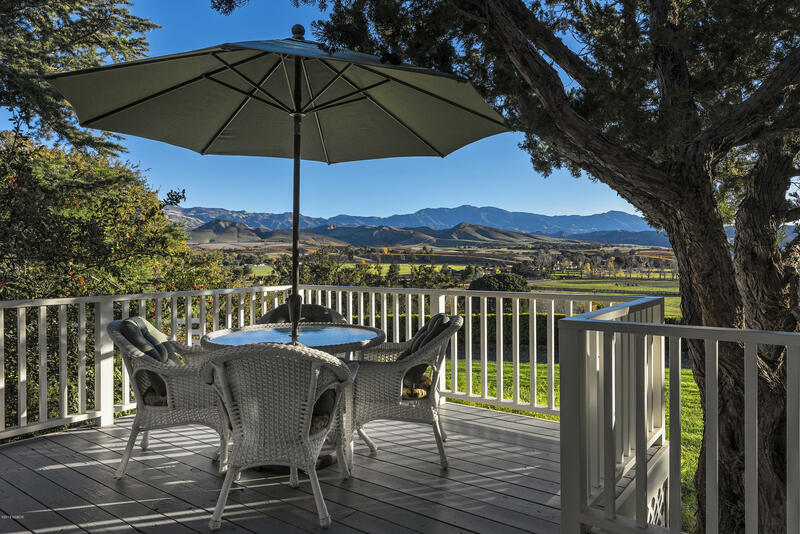 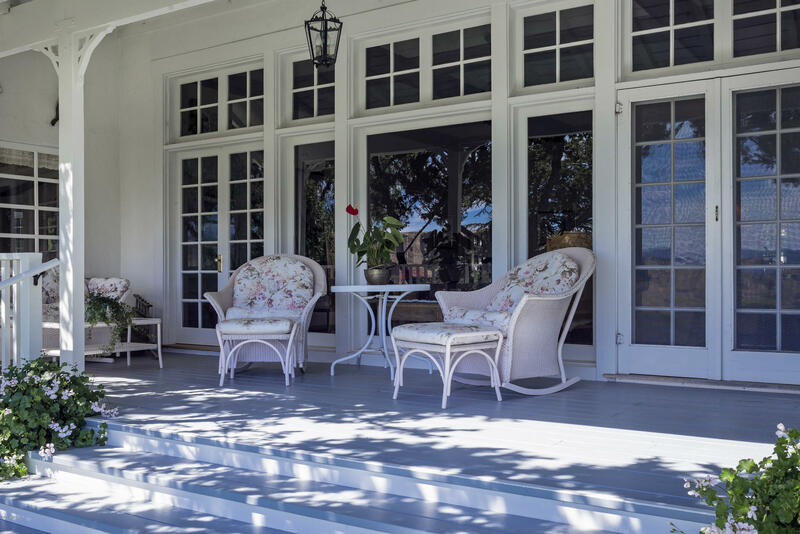 The home's picture-perfect verandas offer sweeping views of vineyards, horse pastures and mountain ranges. 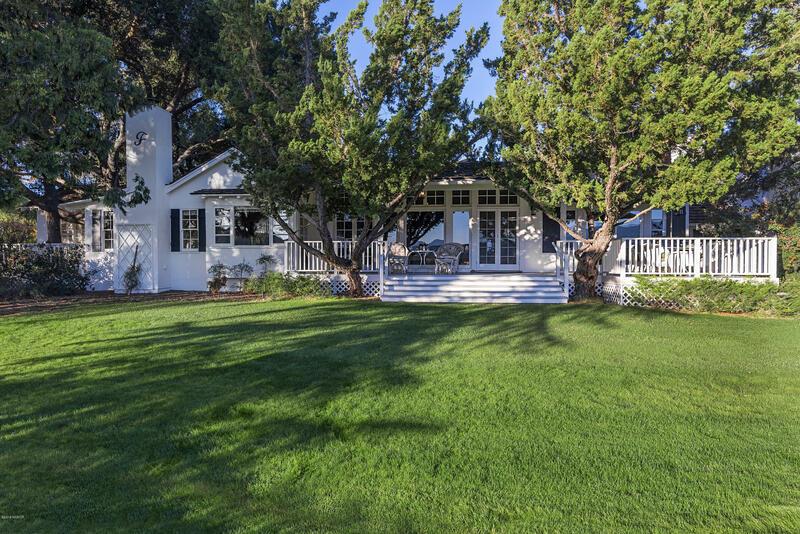 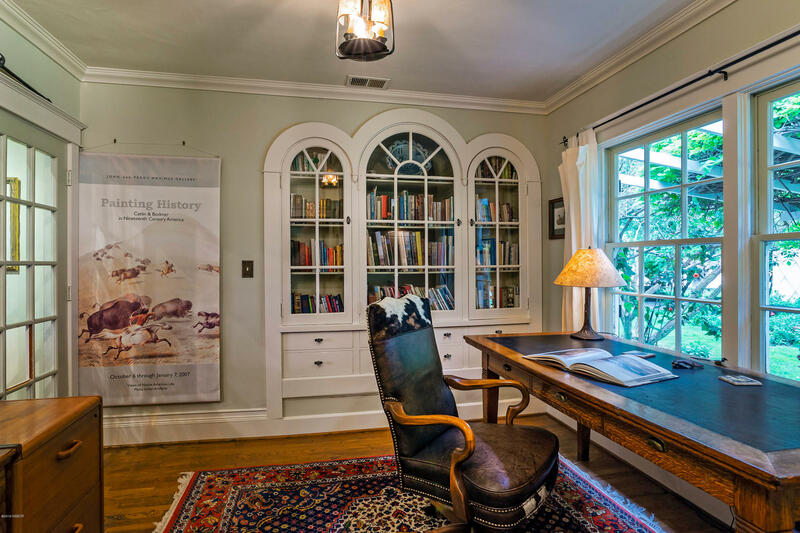 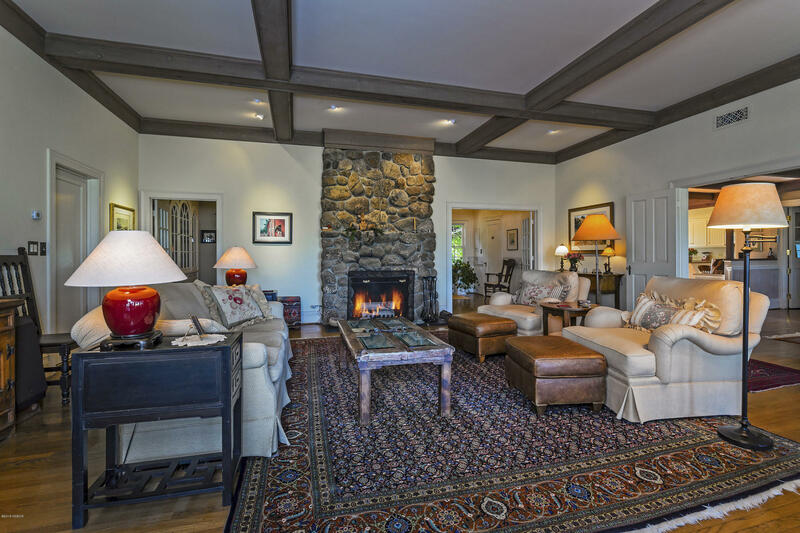 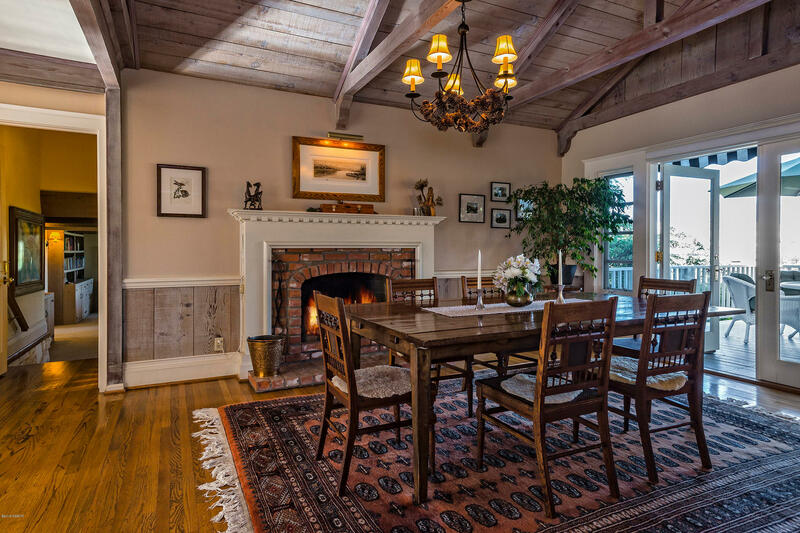 The exceptional 1930's craftsmanship has been meticulously maintained and updated throughout the years and almost every room takes advantage of the spectacular views. 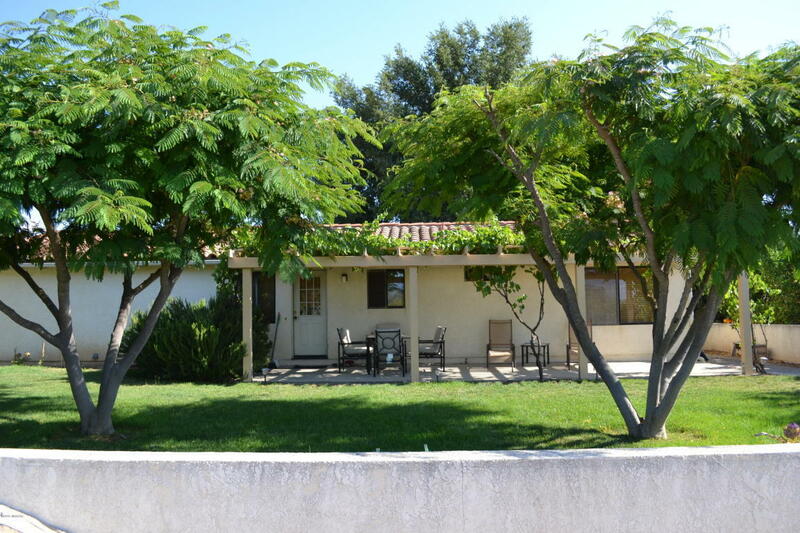 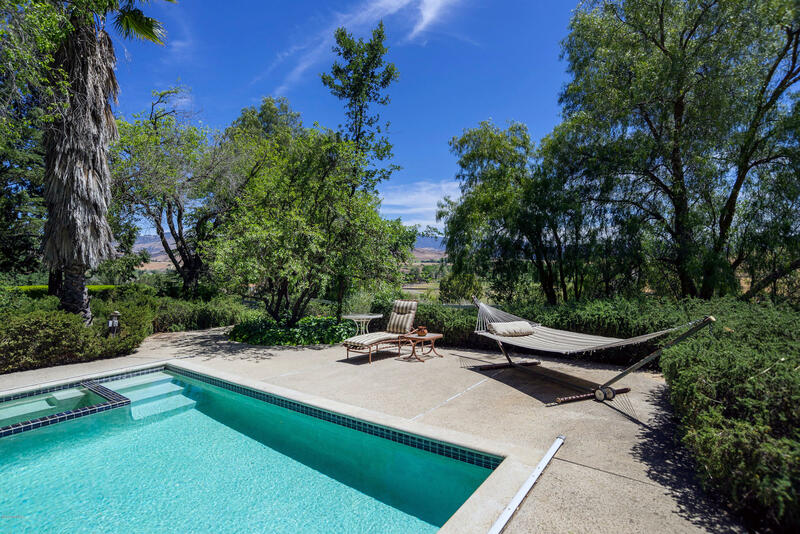 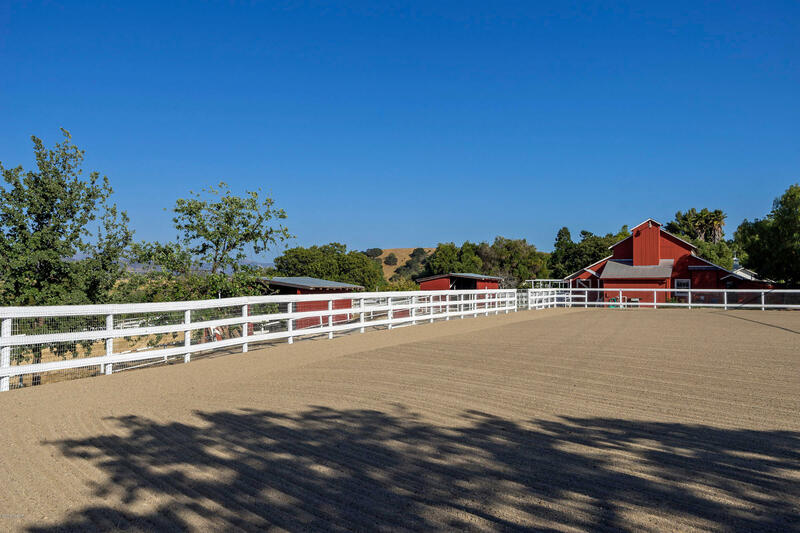 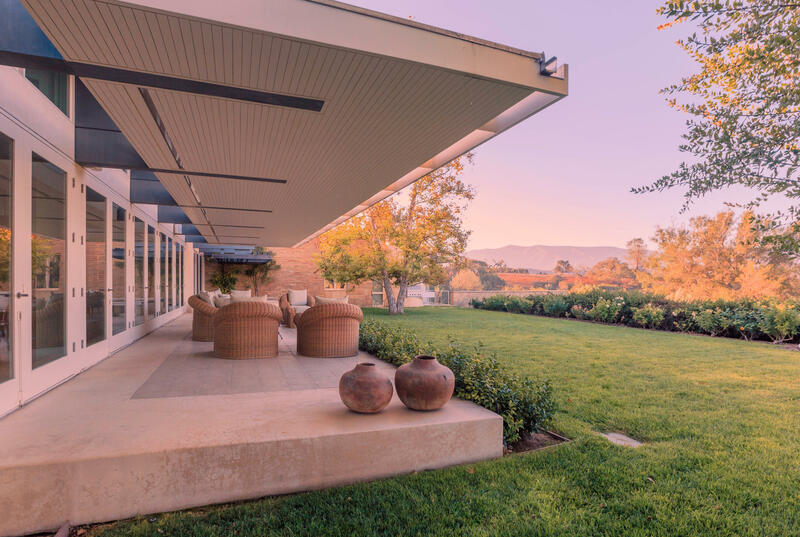 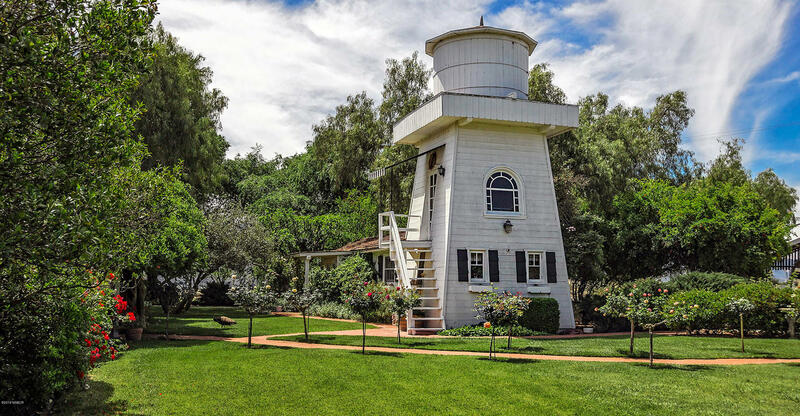 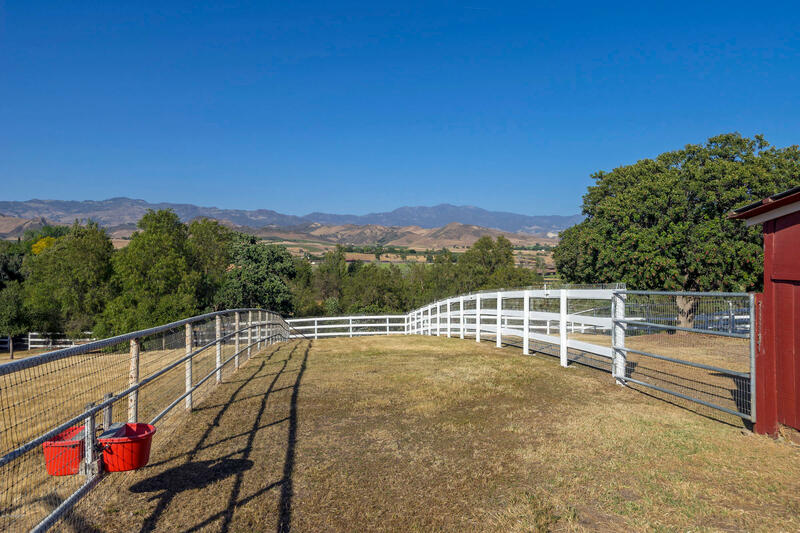 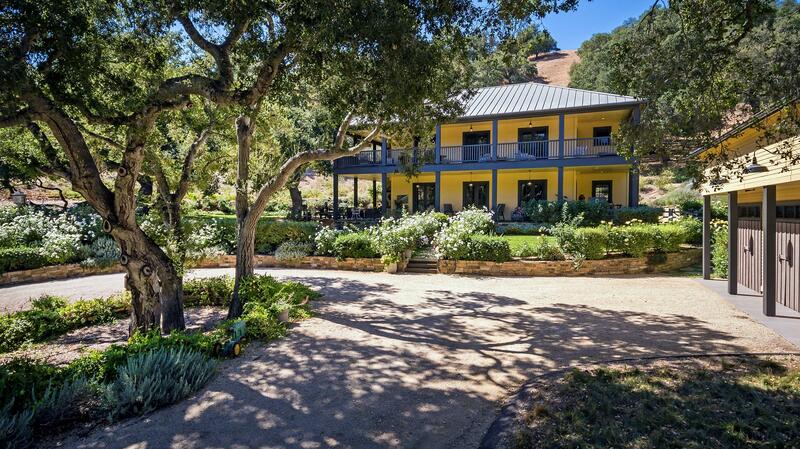 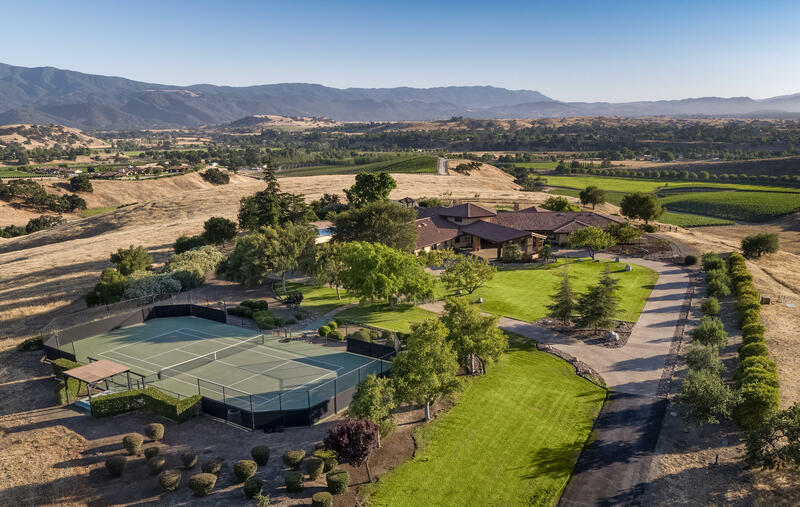 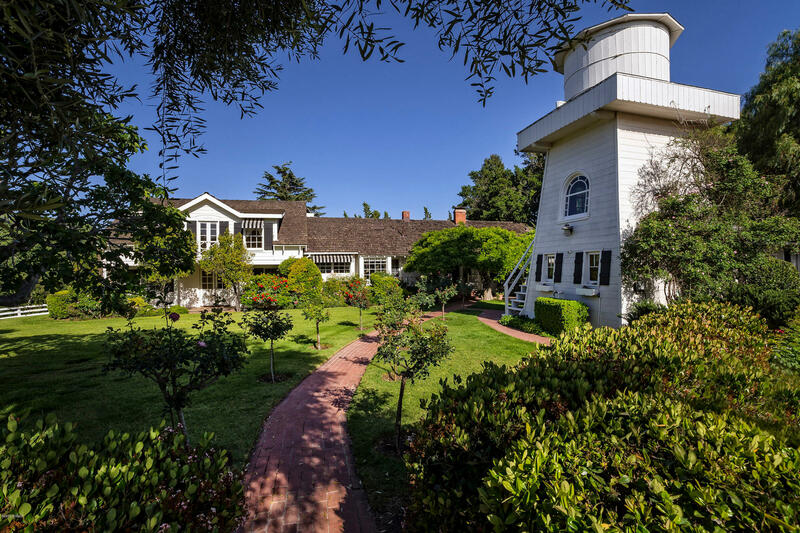 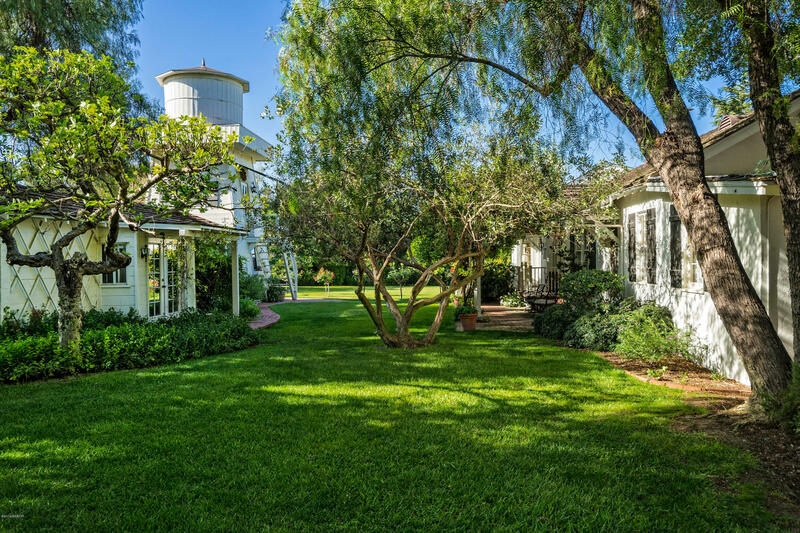 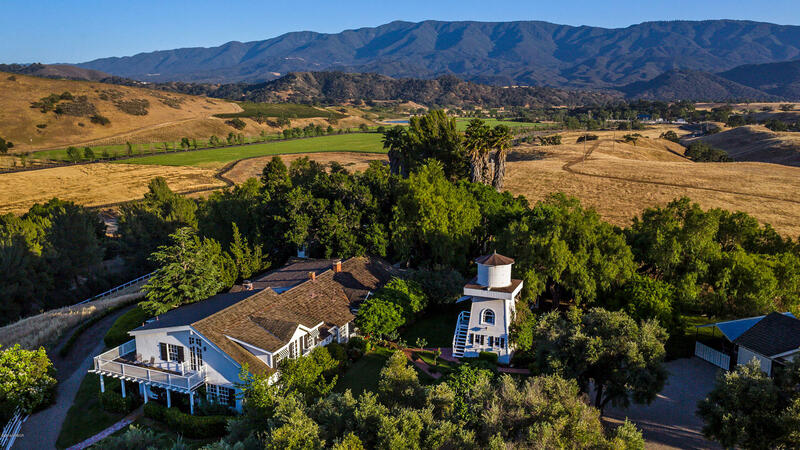 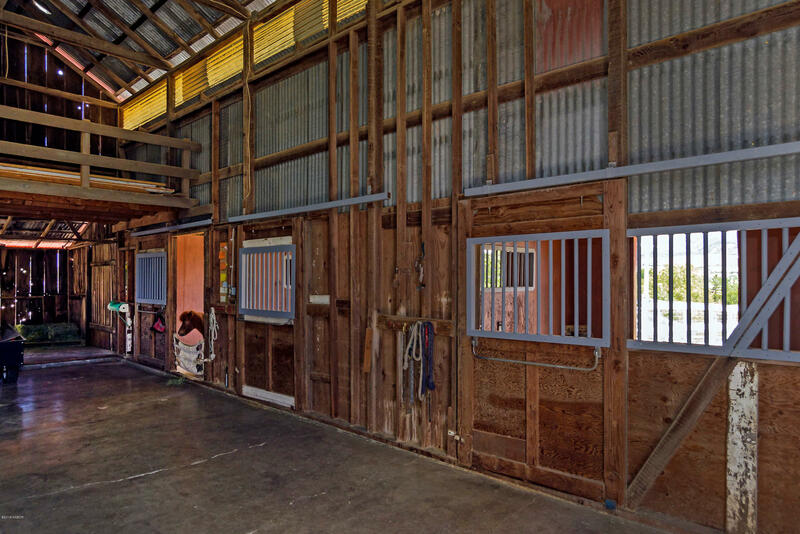 A vintage water tower was converted into a guest house and the barn is complimented by paddocks, an arena, and pastures; ideal for horses or Rhone varietal vineyards which the Happy Canyon AVA is known. 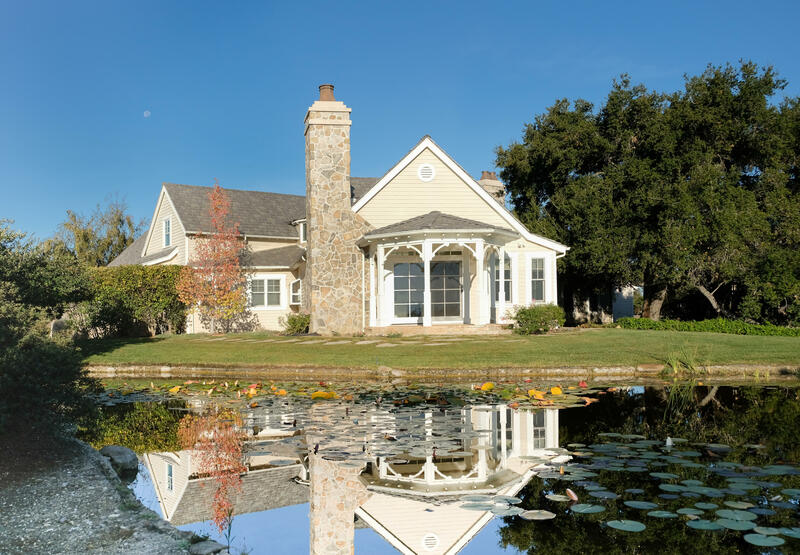 Water is supplied by an extremely cost effective... ... mutual water company. 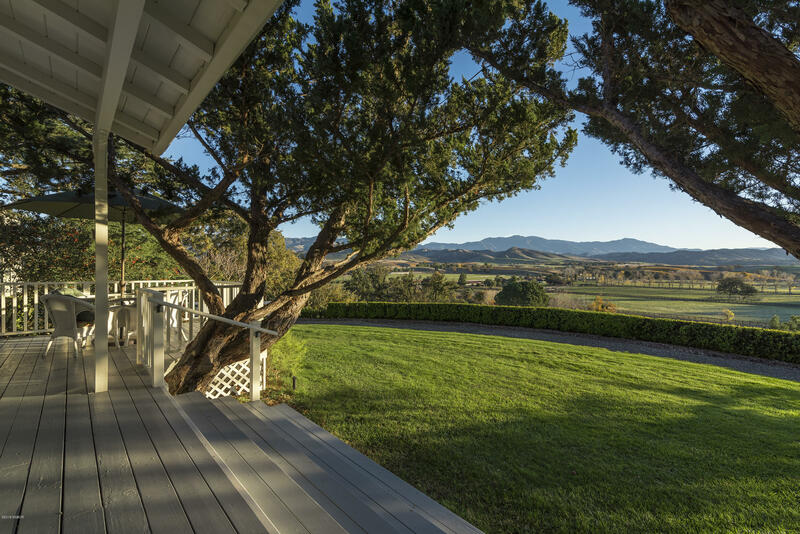 This property has the rare combination of 360-degree views, ultimate privacy, but with the convenience of a close-in location. 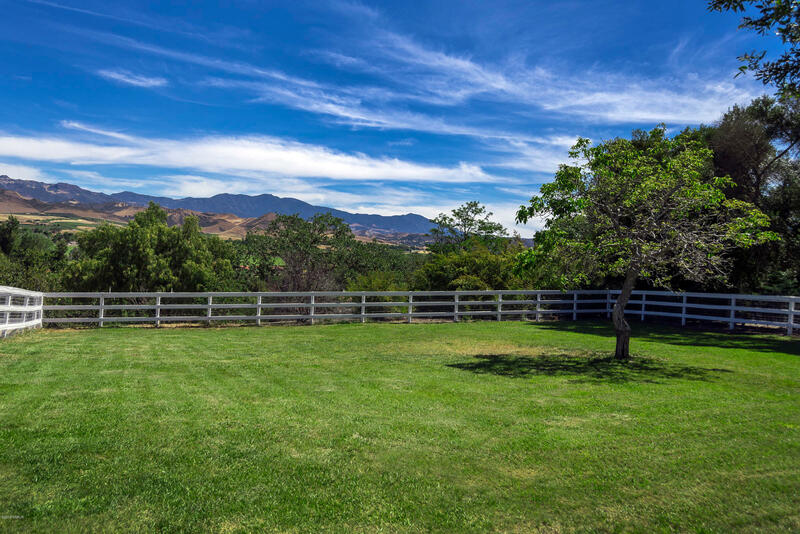 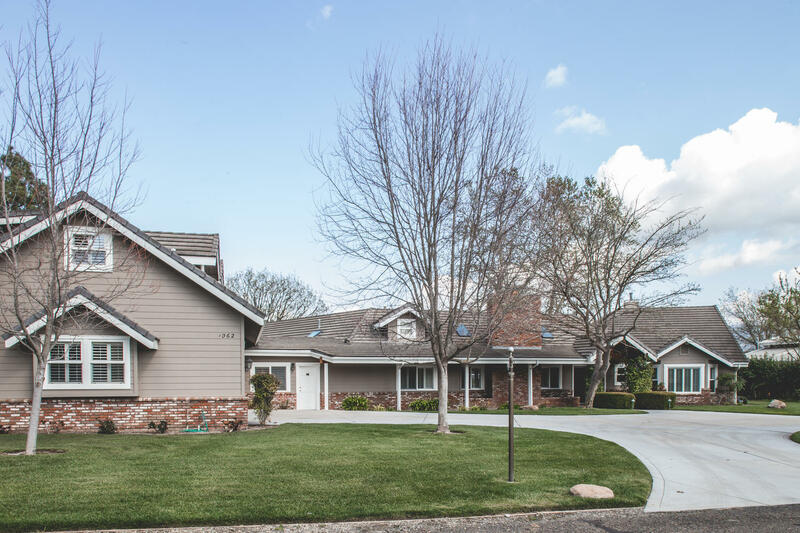 A manageable amount of acreage surrounded by unparalleled vistas of 1,000's of acres.